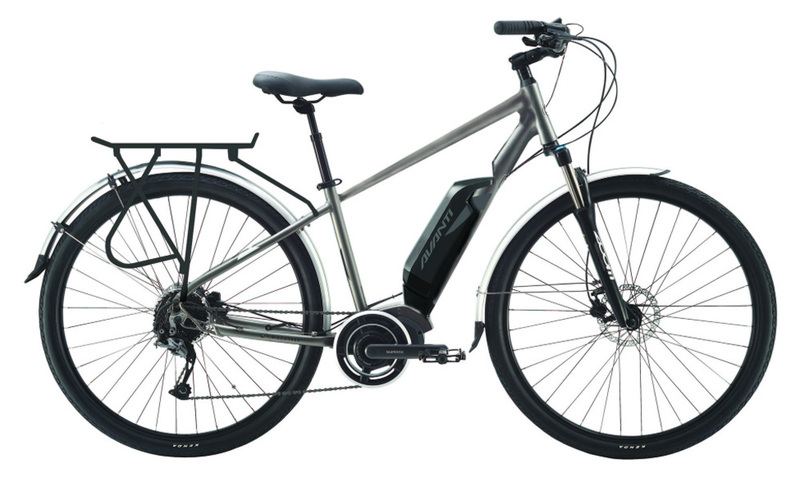 The electric version of Avanti’s popular hybrid bicycle called the Discovery is an elegant electric bike. It has a lovely upright riding position that is made all the more comfortable by a suspension fork and a suspension seat pole. It comes equipped with a rack and mud guards for handy commuting purposes as well. The electric components on this system include the SHIMANO mid-drive motor with a large capacity frame mounted 500Wh lithium ion battery. Gearing and brakes are high end as well. This is a complete package that is offered at an excellent price and suits people looking for a comfortable ride for thousands of kilometres a year. Please come into our store to test ride one.